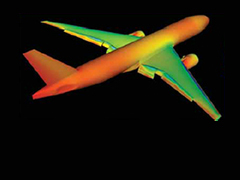 The increasing number of bird-plane impacts gives rise to new CAE methods to address aircraft safety. 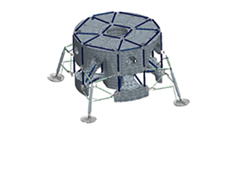 Aerospace company employs simulation software to reduce weight in the Launch Abort Manifold for the Orion Multi-Purpose Crew Vehicle. 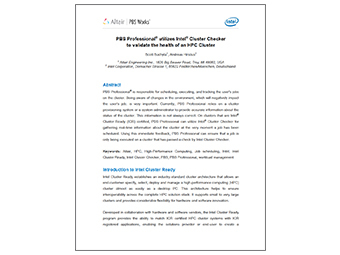 On clusters that are Intel® Cluster Ready (ICR) certified, PBS Professional can utilize Intel® Cluster Checker for gathering real-time information about the cluster at the very moment a job has been scheduled. Using this immediate feedback, PBS Professional can ensure that a job is only being executed on a cluster that has passed a check by Intel Cluster Checker. Learn about how HyperWorks can be used to perform multi-disciplinary analysis and optimization involving structural, thermal, dynamic, and fluid analysis. 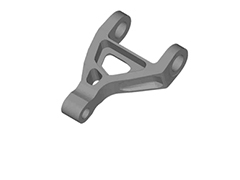 OptiStruct helped EADS achieve significant weight savings in the design of ALM (additive Layer Manufacturing) components. Assystem is an international engineering and innovation consultancy group with a presence in 14 countries and 8500 employees. 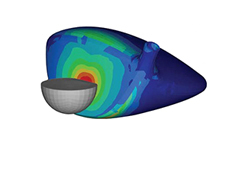 HyperMesh, RADIOSS and HyperStudy were used to design the safest possible nuclear encapsulation vessel for securely containing nuclear material. The designs not only achieved pressure vessel code PD5500 standards, but also helped Assystem gain external accreditation for the pressure vessel’s compliance to code. 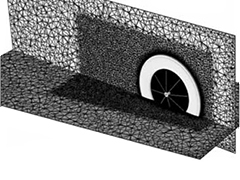 A methodology is presented to apply CFD to study air flow around a rotating bicycle wheel in contact with the ground. The bicycle wheel studied here is an accurate geometrical representation of a commercial racing wheel (Zipp 404). Reynolds-Averaged Navier Stokes (RANS) and Delayed Detached Eddy Simulation (DDES) results are computed at a range of speeds and yaw angles commonly encountered by cyclists. Drag and side (or lift) forces are resolved and compare favorably to experimental results obtained from wind tunnel tests. Vertical forces acting on a rotating bicycle wheel are presented for the first time. A unique transition from downward to upward acting force is observed as the yaw angle is increased. Flow structures are identified and compared for different yaw angles. It is expected that a more complete comprehension of these results will lead to improvements in the performance and handling characteristics of bicycle racing wheels used by professional cyclists and triathletes. experimental wind tunnel results. The previously reported unique transition from downward to upward acting vertical force on the Zipp 404 wheel for increasing yaw angles is observed for all deep rim wheels and the disc wheel studied here. 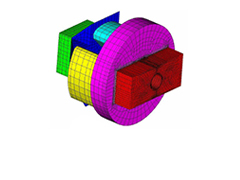 Wheels were also modeled at a critical yaw angle of 10 degrees using Delayed Detached Eddy Simulation (DDES) to examine the transient aspects of flows around moving bicycle wheels. It is hoped that a more complete comprehension of these results will lead to improvements in performance, safety and control of bicycle racing wheels used by amateur and professional cyclists and triathletes. 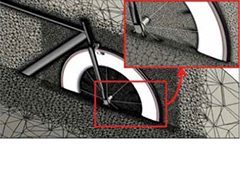 CFD is used to study air flow around a rotating bicycle wheel in contact with the ground, extending previous ‘wheel-only’ work on this problem by including the fork, head tube, top tube, down tube, caliper and brake pads. Unsteady simulations, using a Delayed Detached Eddy Simulation (DDES) turbulence model, were run for 9 different wheel and front fork configurations, over 10 different operating conditions (5 yaw angles, repeated for two different speeds, commonly encountered by cyclists), resulting in 90 transient design points. MCE-5 DEVELOPMENT is developing the MCE-5 VCRi variable compression ratio engine which reduces fuel consumption and CO2 emissions from 20% to 35%. 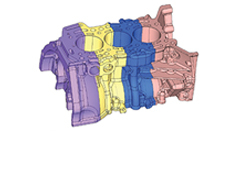 The MCE-5 VCRi engine provides a concrete technological and commercial response to the environmental, energy and economic challenges faced by the automotive industry. 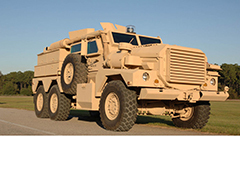 The MCE-5 VCRi engine combines advantages of both Diesel and gasoline. For more information on the MCE-5 VCRi project, please visit: www.VCR-i.com. 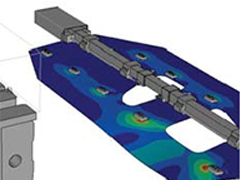 Superior Industries was looking to identify a solution to aid in shortening the overall product design cycle through simulation. Altair HyperWorks, proved instrumental in automating some of the most tedious of tasks and dramatically impacted the design process. 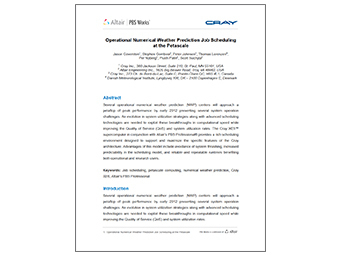 Several operational numerical weather prediction (NWP) centers will approach a petaflop of peak performance by early 2012 presenting several system operation challenges. An evolution in system utilization strategies along with advanced scheduling technologies are needed to exploit these breakthroughs in computational speed while improving the Quality of Service (QoS) and system utilization rates. The Cray XE6™ supercomputer in conjunction with Altair PBS Professional® provides a rich scheduling environment designed to support and maximize the specific features of the Cray architecture. Much more goes into a golf club than simply wood, iron and graphite. To shape the performance, the distinctive appearance, the personalized feel and even the sound of the club striking the ball, manufacturers must precisely engineer every aspect of the design. Today, simulation-driven design has dramatically reduced development time for new golf clubs while allowing them to meet strict regulations more efficiently. The main goal of NMHG and Chief Engineer Dr. Pedro Bastias was to virtually design, test and evaluate each product before any physical prototypes are made. Using HyperWorks, NMHG is saving time, cutting costs and identifying new ways to resolve stubborn engineering problems. 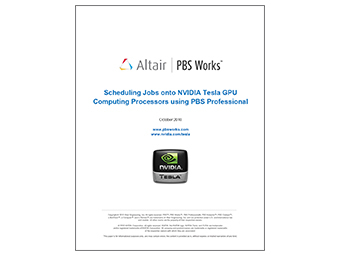 This paper describes the integration between Altair’s PBS Professional and HP’s Insight Cluster Management Utility (CMU), explaining how the concept of a “connector “unites these two tools to simplify cluster setup and job execution, and providing instructions for performing key PBS Professional tasks within Insight CMU. Click here to access more CMU resources. With the advent of the Graphical Processing Unit (GPU) as a general-purpose computing unit, more and more customers are moving towards GPU-based clusters to run their scientific and engineering applications. This model allows users to use a CPU and GPU together in a heterogeneous computing model, where the sequential part of the application runs on the CPU and the computationally-intensive part runs on the GPU. 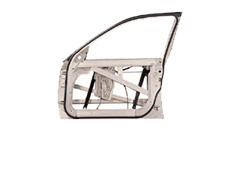 In 2008 PWO Germany (Progress-Werk Oberkirch AG) had to develop and produce a new steel made automotive cross car beam (CCB) for the dash board of a new car. 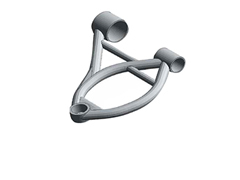 PWO received the CAD model, the design space definition and other pre-defined standards of the component from the customer and developed and produced the fitting cross beam based on this information. PWO used the HyperWorks Suite to develop the component. 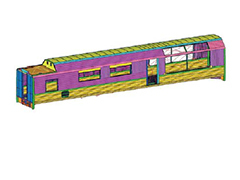 HyperMesh was used to transfer the CAD model into a FEA model, which was then used to run dedicated analysis and simulation tasks. To fulfill the requirements for crash and modal analysis, the company used OptiStruct to optimize the component, RADIOSS and other external solver to run the calculations and HyperView for the post processing. 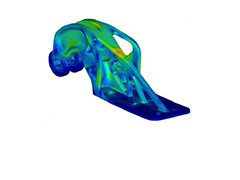 HyperForm was used to check the production feasibility of the individual components and for metal forming simulation tasks. It was important for PWO to have a software suite available that could cover all simulation tasks within one graphical user interface and licensing system. csi entwicklungstechnik GmbH, a leading engineering service provider for the automotive industry has enhanced its simulation power with Altair‘s HyperWorks Suite. The company consolidated its CAE tools and now uses the large scale of HyperWorks, which offers a solution for almost every application needed in modern product development. csi will apply OptiStruct for optimization tasks, MotionView and MotionSolve for multi-body applications, and HyperMesh for pre-processing tasks. Additionally HyperShape/CATIA will be used for CAD integrated optimization and weight reduction. 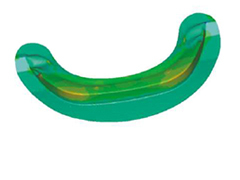 WJH Engineering Consultants provides finite-element analysis and design for many of America’s largest developers of medical devices. Company President, Jim Harrison, works directly with engineers at companies producing medical devices and with doctors to understand the clinical application of these products, including any anatomical loads or displacements that should be incorporated into their design. Altair HyperWorks helped RDSO reduce development time and optimize structural characteristics of the diesel export locomotive. Physical testing on these large, complex structures had to be limited. Using HyperMesh/HyperView pre/post processing capabilities, RDSO were able to simulate design and verify that engineering specifications are being met and help validate the final design. F.S. Fehrer Automotive GmbH in Kitzingen is using the HyperWorks Suite to develop seat parts, form cushions and complete vehicle interior systems. The engineers use HyperWorks and especially RADIOSS for static and modal analysis. 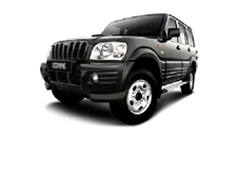 The seat of a vehicle is the direct and closest connection of the passenger with the automobile. Design and seating comfort play an important role in personalizing the vehicle model and convey the feeling of quality to the passenger. 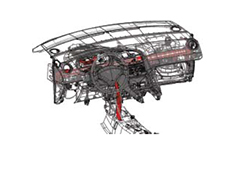 In addition, safety and variability are vital aspects for the development of interior parts of a vehicle. Composite structures offer unmatched design potential as laminate material properties can be tailored almost continuously throughout the structure. 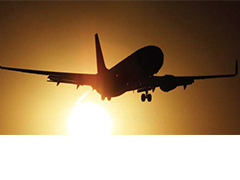 Moreover, composite laminate can be manufactured to fit the ideal shape of a structure for aerodynamic and other performances. However, this increased design freedom also brings new challenges for the design process and software. It is shown in this paper that optimization technology is well suited to exploit the potentials that composite materials offer. This is a press article published by CAD User Magazine in June 2009.
they come with demands for shorter development times with increased pressure to reduce engineering costs (engineering, because of the complexity of the projects, being a major cost element)." 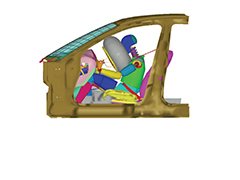 TECOSIM has developed techniques which can shorten the folding & packaging process time to a few hours and still achieve the essential airbag deployment performance. We will present methods which rapidly fold a free mesh and allow for rapid shape changes for a detailed folded model. These methods can significantly reduce the turnaround time to incorporate design changes into the working CAE model for side impact and OOP [Out Of Position] studies. This technology can integrate airbag development further into the virtual world to allow ‘CAE led’ design of airbag profiles, chambers and seam lines to be established early in the design phase and establish a fully folded deployable airbag for all virtual phases. This paper describes the use of Multi-body Dynamics (MBD) modelling techniques in the design and development of a suspension system for a novel autonomous vehicle. 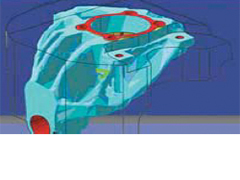 The general approach and philosophy is described, whereby MBD techniques are used in conjunction with an independent (parametric) whole vehicle handling simulation. This is supplemented with examples, showing how MotionSolve was used (in tandem with CarSim) to develop the suspension elasto-kinematic geometric properties to meet specific cascaded targets, to optimise a weighing strategy, to predict forces under a variety of quasi-static and dynamic loads, and to estimate response to track inputs. 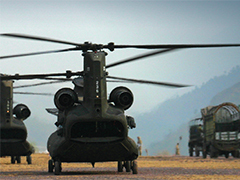 As the UK Ministry of Defence (MoD) Design Authority for Aircraft Arrestor Barrier Nets, AmSafe products are used to stop aircraft from over-running the end of the runway. The British Arrestor Net (BAN) Mk2 is suspended across the runway over-run area by two electrically driven stanchions and raised or lowered by remote control from the Air Traffic Control tower. This paper describes the process and results of a FE analysis of the engagement of the Hawk T Mk2 aircraft into a Type A Barrier (BAN Mk2). 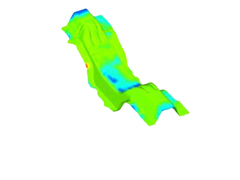 The analysis was performed using RADIOSS, an advanced non-linear explicit Finite Element solver. Biomechanics modelling is becoming increasingly accepted as a tool for enhance assessment of vehicle safety, in particular in the field of injury assessment and virtual testing. Firstly, a generic RADIOSS model for safety applications (HUMOS2) is presented and applications are demonstrated. Important tools associated with the scaling, and positioning of the model is also described. Secondly, an innovative model for scaling of human organs (individualization) is presented. 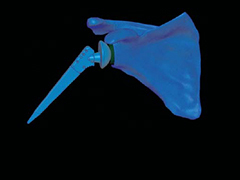 The method which employs optimization techniques, identifies critical (optimal) anatomical control points which allow for a best scaled model of the HUMOS2 representing an individual. Finally, some remaining challenges for future human models are discussed and solution paths are described. To derive the natural frequencies and mode shapes of a given structure, the test Engineer has to decide on excitation positions that will efficiently excite all the modes of the structure in the frequency range of interest. Excitation positions are usually decided upon from experience or trial and error methods which can be time consuming and still not capture all of the modes in the selected frequency range. 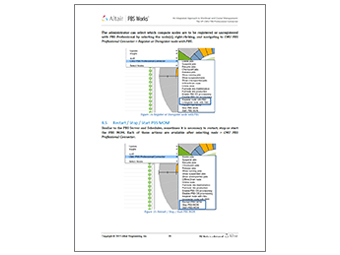 Using Altair HyperStudy and Radioss (bulk), Pre-test CAE analysis has been carried out to identify effective excitation positions before the commencement of modal testing, thereby significantly reducing pre-test lab time. As a relatively young automotive company, SAIC Motor has drawn on the expertise of its UK Technical Centre to help in its objective to bring a new range of vehicles to market in an aggressive time frame. CAE has formed an integral part in doing this and the UK technical centre has worked closely with Altair Product Design amongst others to utilise its Engineers’ skills as well as the Hyperworks suite of software. The paper aims to showcase what has been achieved to date, on the Roewe 550 medium car programme - currently on sale in China - and on another current vehicle programme, where processes have been developed further. Several interesting optimisation examples are highlighted in the development of the body structure as well as some key process improvement methodologies which have been jointly developed between SAIC and Altair to streamline the design process. Packaging designers must constantly inject innovations to attract consumers in a constantly evolving and highly competitive market. Keeping ahead of the competition by bringing new and exciting products to market faster whilst maintaining quality, presents a major engineering challenge. A new packaging development process is described, which introduces advanced automated simulation and optimization technology right from the concept development phase. 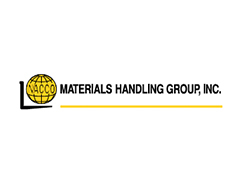 Detailed predictions of primary, secondary and tertiary packaging performance are made possible through use of advanced simulation technology. Design optimization is then employed using the modelling as a virtual testing ground for design variants. The approach provides clear design direction, an opportunity for wider experimentation, helps to improve performance and reduces uncertainty in the development process. This paper details the use of the Thyssenkrupp eDICT process for the design of sheet metal chassis components. eDICT (evolutionary design in chassis technology) is an innovative structured process flow for the design of optimal structures. eDICT uses the optimisation capability of Optistruct with a set of custom tools to guide and translate a design into a production feasible sheet metal solution. 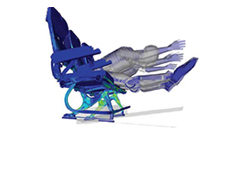 Fundamentally it reverses the usual design loop of CAD first then CAE assessment. The function is used to determine the design and the form follows. On recent projects eDICT has produced 25% mass reductions compared to the current series design. eDICT is also able to reduce development times and resource with an efficient solution production right from the outset. Bombardier Transportation UK offers one of the most comprehensive and diverse rail vehicle portfolios in the world. The strategy is one of continuous development that provides the most effective and cost-efficient rail solutions for today and the future. 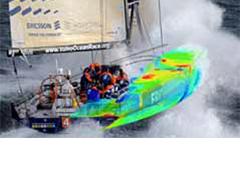 A key ingredient is the use of Altair HyperWorks enterprise computer aided engineering (CAE) solution. Altair's technology is now present at every stage of the design process and has increased the efficiency of the product development process. 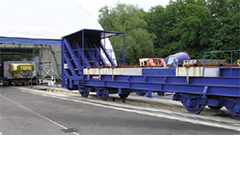 The paper details how Altair tools have been used to generate Finite Element (FE) models of carbodies, bogies and secondary structures in reduced time scales. Significant weight and cost savings are achieved through structural optimisation of components such as large steel castings, aluminium extrusions and steel fabricated structures which are subjected to linear static, fatigue and abuse loading. Automated post processing facilitates the interpretation of results and the writing of detailed official reports. This paper shows how Altair OptiStruct, part of the HyperWorks suite, is used to provide a complete solution when designing with laminated composites, taking the design through concept stages to producing the final ply lay-up sequence. The technology is applied to the design of a laminated wing cover to produce a mass optimised design which meets the requested structural targets. This paper will show the application of a 3-stage approach to designing the optimum composite structure for a front wing on a Formula One car using Altair OptiStruct 9.0 Continual development of aerodynamic components is normal practice in the world of Formula One and the time taken to respond is paramount if a team is to be competitive. FACTOR 001 is the result of a creative project by BERU f1systems to explore the transfer of design approaches, technology and materials from Formula One to a groundbreaking training bicycle. The design brief did not require the bicycle to comply with existing technical regulations, which resulted in great freedom during the design process. This paper details how OptiStruct Optimisation tools were used to help generate efficient lightweight solutions for the design of complex carbon fibre components. Free-size optimisation was used to generate laminate boundaries, ply thicknesses and fibre directions, which met stress and displacement requirements. 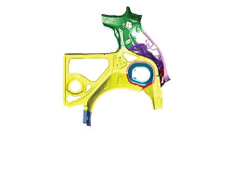 Physical testing carried out on manufactured parts highlighted the accuracy of the FE models and demonstrated the advantages of incorporating OptiStruct Optimisation tools in the design process. The new Fiesta is about premium feel of a larger car, delivers a new level of safety, driving quality and efficiency. The new Fiesta will be a great contribution towards sustainability and cost effective motoring. The first thing to notice is the design, but the vehicle performance and body structure attribute behaviour are the specific highlights to point out in this presentation. The attribute performance is not based on coincidences; the performance is a result of state of the art engineering work. Especially the safety performance in EuroNCAP. productivity through its automatic mesh creation and batch processes. 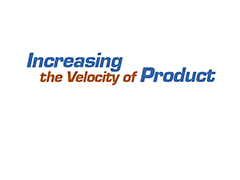 to their analysis productivity allowing models to be constructed faster than before. locations, material variation and manufacturing variation. at its Commercial Airplane Products Group in Winston-Salem, North Carolina. processes followed by engineers at Altair and should help increase awareness regarding the powerful tools available for solving realistic design problems. The people who design cars and trucks at Chrysler have been using computer simulation tools since the 1980s. 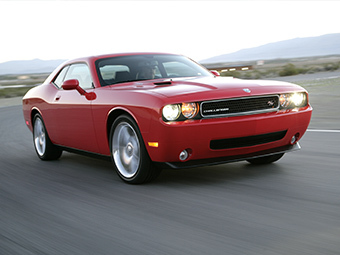 Since those early beginnings, the use of computer-aided engineering and finite element analysis has expanded to become the powerhouse enabler for Chrysler designers that it is today. By applying Altair HyperWorks simulation technology, Ford Motor Company has been capable to simulate the dynamic behavior of their new generation of crossbar transfer presses. 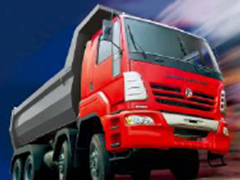 Using Altair OptiStruct, India based Ashok Leyland was able to reduce cost and improve reliability of the components in their stride towards design an development of innovative, optimal and robust design solutions. 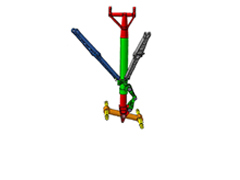 Leveraging OptiStruct's technology was able to take quick and reliable design directions on the track rod lever. Using Altair OptiStruct, ArvinMeritor was able to design a lighter weight window regulator lift plate which eased assembly. The new snap-fit design reduced the material compared to original design, without sacrificing performance and durability. Using Altair HyperForm, Mark Auto was able to significantly improve the material utilization for their existing production dies. 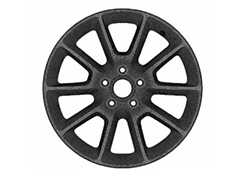 Mark Auto re-designed two existing dies for wheel arch an wheel housing and was able to dramatically reduce material scrap with minimum rework in their tools while not compromising on component quality. Every year, countless people — regardless of their age or level of physical activity — begin to experience the effects of osteoarthritis, a degenerative joint disease. As we age, the cartilage that cushions the joints begins to deteriorate. The head of the adjacent bones begin to break down from the friction, causing pain in the joint. When the condition worsens and non- surgical remedies are exhausted, surgeons may recommend joint replacement. Typically, titanium alloy implants are lined with plastics that act as cartilage and are fixed in place with cement or screws by the surgeon. The implants can give patients a new lease on life, dramatically reducing pain and improving mobility. 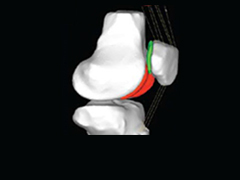 However, questions naturally arise in the patient’s mind: How much range of motion will I have in the new joint? How much strength will I recover? And how long will the new joint last? 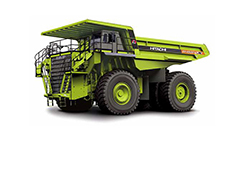 Heavy-duty mining trucks at Hitachi are designed to meet ISO ROPS and FOPS safety requirements, while structures must be as lightweight as possible. The presentation will discuss Hitachi’s design and simulation approach, which consists of an integrated multidisciplinary analysis process. 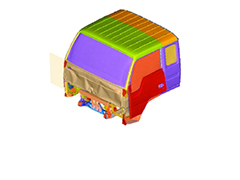 Dynamic analyses, multibody dynamics simulations, including flexible bodies and dynamic simulations are methods applied to optimize performance and vehicle safety. The author will present examples such as the optimization of a trolley support structure, a kinematics model of a 100-ton truck and the analysis of a trailing arm. Finally, the author will share his thoughts on the important subject of how simulation can better impact the design. 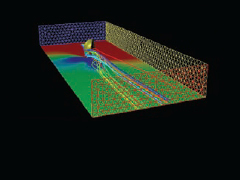 Using OptiStruct from the Altair HyperWorks computer-aided engineering (CAE) suite of software tools, Joe Gibbs Racing was able to significantly redistribute vehicle mass and improve ride handling characteristics to design a more competitive race car. The automotive business is a very competitive industry and in today’s markets, leading manufacturers are keen to find ways of reducing costs without compromising either quality or performance. 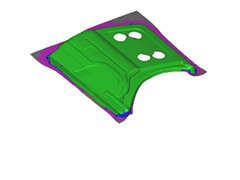 This paper will cover the process of applying OptiStruct software to the re-development of a high volume and high cost plastic PAS (Power Assisted Steering) pump bracket into a much cheaper aluminium alternative. The outcome of this was a lighter, stiffer and cheaper replacement bracket that had the potential, based on the current production engine volumes, to save Ford Motor Company over $1.1 million a year. This paper considers the application of conventional energy based topology optimization methods for design of aircraft wing box ribs. 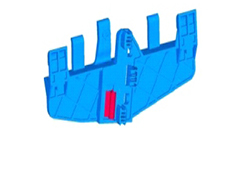 Compared to standard topology optimization work undertaken at Airbus, the topology optimization of wing box ribs posed several additional challenges, mainly due to the wing box ribs being embedded in a redundant wing box structure. Several approaches to solving this problem have been investigated and are being reported as part of this paper, including a global analysis/optimization approach and two local analysis/optimization approaches. The early application of structural optimisation in the design of automotive components streamlines the design process and at the same time significantly increases the potential of the final design achieving maximum performance. This paper details the use of optimisation techniques during the development of a steering wheel, to generate an optimised design for cross attribute performance. This was completed in the Altair HyperWorks environment as Altair HyperMesh combined with Altair OptiStruct enables the creation of a parametric model with a multitude of design variables (i.e. size, shape, displacement, stress and frequency) in order to satisfy NVH, manufacturability, durability and crash targets. 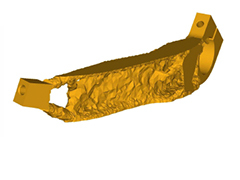 This paper details the application of a specialised genetic algorithm to reduce the mass of a laminated composite wing rib. 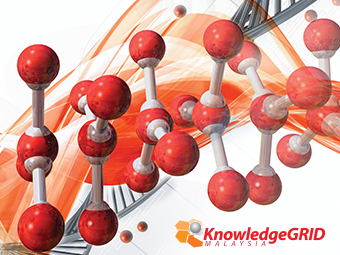 The genetic algorithm has been customised specifically to optimise the performance of polymer-laminated composites. The technology allows the mass to be minimized by the removal or addition of plies of various discrete orientations whilst satisfying the structural intent of the component. For the rib structure assessed, the structural constraints consist of limits placed on the displacement, stress (i.e. ply failure index) and buckling behaviour. This paper will cover the design, development, and testing of an expandable sand screen using bistable cell technology. 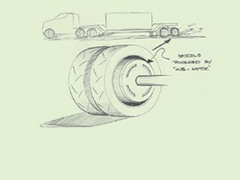 In addition, the design and development of the proprietary expandable connection will be presented. The testing presented covers a wide range of structural integrity, expansion, sand retention, mudflow, and geomechanical tests performed on the screen, base pipe, and connection. This paper describes the application of new technology to achieve automatic calibration and assess the robustness of an airbag inflation model. Calibration of the kinematic response of the airbag is achieved by defining the activity as an optimisation problem. The objective is to minimise the error between the experimental test and numerical simulation curves. Once calibration has been achieved, a unique robustness assessment is performed, which utilises the optimisation technology used in the calibration exercise. The application of CAE tools to help design and develop mechanical systems in the automotive industry is a widely accepted practice. This paper highlights various applications of these tools, in particular, the application of MotionView and MotionSolve from Altair Engineering. Each example demonstrates the advantages of using such tools to work rapidly and seamlessly within the general design process. This results in the development of innovative designs to face challenging problems in a short time frame. This paper demonstrates the flexibility that Altair technology provides throughout the design process with tools applicable to all stages. An overview of the LINPAC design process incorporating Altair's technology is given together with examples of how and which tools are being implemented. 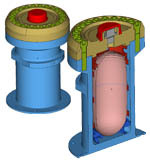 The limitations of the traditional LINPAC approach and the use of Altair's tools is demonstrated through the use of a detailed example; without the use of Altair technology, more iterations in expensive tool modifications would have been required to achieve a satisfactory design without introducing unacceptable costs. 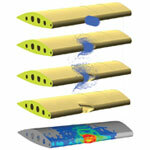 An integrated approach to CFD design optimization is proposed. It consists of taking an initial CAD design, meshing it using HyperMesh, analysing it using Star-CD, parameterising its key features using HyperMorph, and then shape optimizing it using HyperStudy. 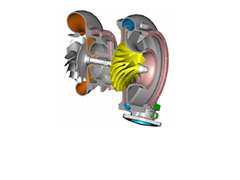 This approach has been applied here to the shape optimization of the compressor inlet duct of a turbo system. This paper details the extensive use of CAE optimisation technology at ThyssenKrupp Automotive Tallent Chassis Ltd (TKA). There are a number of trends in the automotive business that are presenting great challenges, these include severe cost pressures from OEM’s, platform commonisation and reduced vehicle development cycle time. 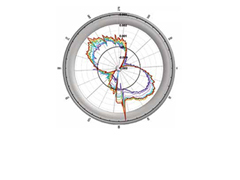 The use of optimisation is critical for TKA to maintain its competitiveness, this paper deals with more advanced concepts of optimisation by extending into the severely non-linear region of analysis types. There is a need to minimise product development costs and provide efficient design solutions to maintain competitiveness, so increasingly companies in the Child Restraint System (CRS) industry are turning to Computer Aided Engineering (CAE) to enhance the design and development for their products. Graco has worked with Altair Engineering to develop a group 1 CRS using an advanced CAE driven design process. The design process introduces a number of key phases in the design cycle each of which are positioned to maximize the efficiency of the structure and reduce or remove the cost involved in a traditional, iterative ‘test it and see’ approach. The use of CAE software tools as part of the design process for mechanical systems in the automotive industry is now commonplace. This paper highlights the use of Altair HyperWorks to assess and then optimize the performance of a McLaren Automotive front suspension system. The tools MotionView and MotionSolve are used to build the model and then carry out initial assessments of kinematics and compliance characteristics. Altair HyperStudy is then used to optimize the position of the geometric hard points and compliant bush rates in order to meet desired suspension targets. The application of this technology to front suspension design enables McLaren Automotive to dramatically reduce development time. Packaging designers must constantly inject innovations to attract consumers in a constantly evolving and highly competitive market. Keeping ahead of the competition by bringing new and exciting products to market fast, and at the necessary level of quality, presents a major engineering challenge. A new deodorant pack development process is described, which introduces advanced simulation and optimization technology into the concept development phase. 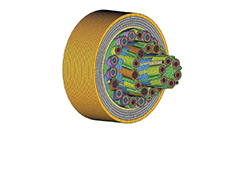 Detailed predictions of interacting parts in a mechanism assembly are made possible through use of advanced simulation technology. Design optimization is then employed using the modelling as a virtual testing ground for design variants. The approach provides clear design direction and helps to improve performance and reduce uncertainty in the development process. 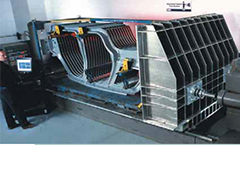 Leveraging HyperForm’s sheet metal forming solution, SAB designed the validation process and press tool design covering the vital areas of virtual prototyping/testing, which, in turn, reduced the time-consuming manual process drastically. 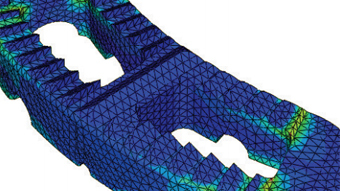 Using Altair HyperWorks Process Manager, M&M was able to implement best practices through standardization of CAE processes and minimize CAE analysis set-up time. Automated post-processing enabled through Process Manager facilitated a 40% reduction in time when compared with the manual practice of post-processing. 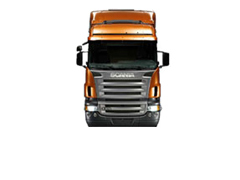 Using HyperWorks, Eicher Motors was able to significantly reduce the number of physical tests during the development process of their truck cabins. The numerical simulation helped in predicting the failure mode and estimating the stress level in the individual components in elastic as well as plastic zone prior to the first physical test. 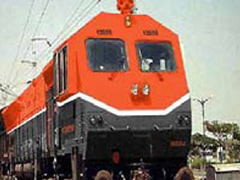 Stadler Rail is a dynamic company in a dynamic industry. With 2,000 employees at six European locations, Stadler produces light rapid-transit trains and streetcars for regional and local railroads, and is the leading supplier of cars to the cog railway market. The company uses modular, scalable concepts to design customer-oriented solutions, targeting specific needs. The Static/Dynamic/Certification Department, which creates CAE simulations of Stadler's CAD railcarmodels, used Altair's HyperWorks Engineering Framework to develop the Glacier Express, a lightweight train that carries passengers over a breathtaking route through the majestic Alps. HyperWorks tools enabled the department to move quickly and efficiently through the development process. Using HyperWorks, Motorola significantly reduced CAE cycle time by automating the process of input deck generation and results evaluation. By deploying HyperWorks’ process automation engine, analysts created a customized solution to simulate cell phone models more quickly. Toshiba Digital Network Company, faced with increasing global competition in the hard disk drive (HDD) marketplace, set out to create an advantage through the redesign of their existing HDD product(s). To support this effort, Toshiba partnered with Altair Engineering to automate its design process. This was accomplished by leveraging HyperWorks powerful modeling, visualization and optimization software applications with Toshiba’s proprietary solver for fluid dynamics. 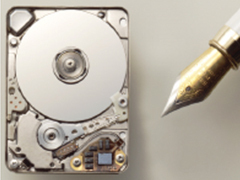 The specific goal was to optimize the air bearing surface (ABS) of the HDD’s magnetic head slider. 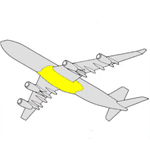 This unique product development process resulted in minimizing the flying height as much as possible while considering its stability. This, in turn, reduced the overall size of the HDD and increased its recording density. 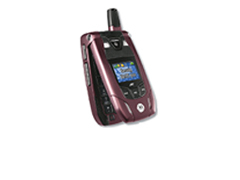 In addition, the new design was brought to market in significantly less time than with Toshiba’s traditional design process. 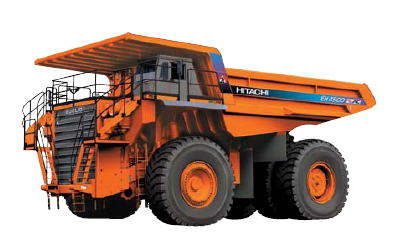 Hitachi Truck Manufacturing sought ways of reducing materials costs for its mammoth mining trucks, while remaining within standard specifications. The company's first project using HyperWorks CAE tools enabled Hitachi to do this with accuracy. HyperWorks is now an integral part of the design process at Hitachi. pressure gain and efficiency. The redesign, in turn, increases the fuel efficiency of the engine. 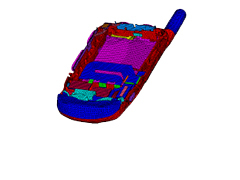 Combination of HyperWorks and RADIOSS delivers broadest CAE product family in PLM. Applying simulation technology to industrial design accelerates the generation of design concepts that are exciting, feasible, desirable and profitable. 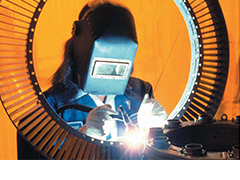 A robust modeling process greatly aids the design of lower cost and higher quality welded structures. Our experts examine the challenges, advancements and trends that are changing the product packaging industry. Wagon Automotive now uses HyperWorks during the entire development cycle, from concept design to optimization. Using Altair HyperXtrude Sweden based AB Elektrokoppar was able to identify the flow problem in the extrusion die. 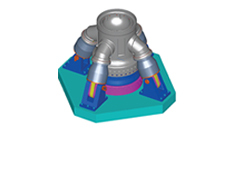 Altair HyperXtrude is used to analyze material flow through the die and predict final profile shape as it exits the die. Profile deformation predictions form HyperXtrude were in good agreement with experimental measurements from the Elektrokoppar extrusions. 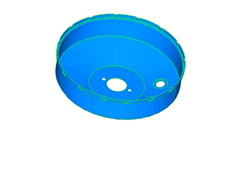 finalize the draw bead location and characteristics. 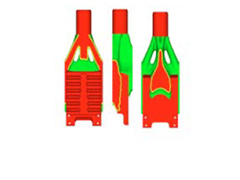 costs and maximize productivity by redesigning the manufacturing process for front housings. process to a single-stage process.